Added build photos and pin voltages to the May Queen article. Added instructions for adding a notch depth switch to the Condor. Added a photo of the official Condor perfboard build. Added a note about the Cut control found in the English Channel and Matchbox projects. Added RDV's wiring method for the Double D bypass and channel switches. Added mod notes for replicating the Marshall cab sim frequency response with the Condor. Added the Condor Cab Sim article and five sound clips. This circuit replaces the previous runoffgroove.com cab sim design. Added Pablo De Luca's revised Eighteen PCB layout. Added Pablo De Luca's revised Matchbox PCB layout. Added another PCB layout for the Double D along with an updated 3 Legged Dog PCB layout, both by Will Percival. Added more entries to the FAQ. Does your computer desktop need a new look? 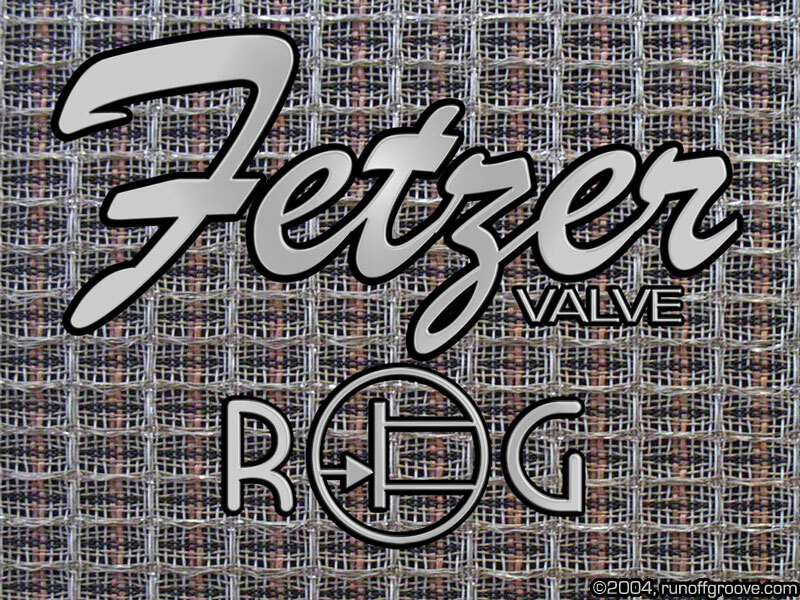 Download our official Fetzer Valve wallpaper in either 800x600 or 1024x768 sizes. Added Will Percival's updated Odie and Thunderchief PCB layouts. Added Will Percival's updated 3 Legged Dog PCB layout. 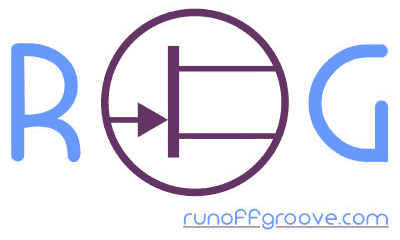 runoffgroove.com is now an official iTunes Affiliate! Click the button to visit the iTunes Music Store and support this site when you buy songs or audiobooks! Added Pablo De Luca's English Channel and Uno PCB layouts. Added a photo to the Tube Reamer article. Fixed an error on the Umble PCB layout. Added Pablo De Luca's Tube Reamer PCB layout. Added the Umble article (With schematic and perfboard/PCB layouts) and two sound clips. Minor updates to the Ruby schematic and layouts. Added two photos to the Ruby article. Fixed an error (a missing trace) in the Professor Tweed PCB layout. Added Pablo De Luca's PCB layouts for the EA Tremolo, Mockman, Phozer, Sili-Face, Sili-Face II, Tantalus Project, and Whisker Biscuit. Thanks, Pablo! Fixed an error in the Flipster PCB layout parts list. Added the Flipster article (with schematic and PCB/perfboard layouts) and a sound clip. Fixed an error on the Uno perfboard layout. Added Pablo De Luca's PCB layouts for the Double D, Eighteen, Fetzer Valve, Little Gem, Matchbox, Multi-Face, Peppermill, Ruby, and Supreaux. Thanks, Pablo! Added Bill Bergman's PCB layouts for the Uno, English Channel, and Professor Tweed. Thanks, Bill! Added the Uno article (with schematic and perfboard layout) and a sound clip. Added the English Channel article (with schematic and perfboard layout) and a sound clip. Added the Supreaux article (with schematic, perfboard layout, and photos) and two sound clips. Added an item to the FAQ. Added perfboard photos of Matchbox, Professor Tweed, and Eighteen. Added two sound clips of Eighteen. Added two items to the FAQ. Updated RDV's Hiwatt mod notes for Ruby. Added the Eighteen article (with schematic and perfboard layout). Added pin voltage readings to the Fetzer Valve article. Created an archive of articles and sound clips at home-wrecker.com. Added pin voltages for alternate FETs to the Professor Tweed article. Added the Professor Tweed article (with schematic and perfboard layout) and two sound clips. Updated the Thunderchief schematic and perfboard layout. Mod suggestions added to the Fetzer Valve article. Added the Fetzer Valve article with schematic and perfboard layout. Added an FAQ for the site. Added the Matchbox page (with schematic, article, and perfboard layout) and two sound clips. Minor tweaks to the Thunderchief perfboard layout. Added a corrected Grace/Big Daddy PCB layout. Added a corrected May Queen PCB layout. Added Ricky Vance's Hiwatt mod to the Ruby article. Added a revised schematic and new perfboard/PCB layouts to the Splitter-Blend article. Added FET pin voltages to the Thunderchief article. Added PCB layouts created by Will Percival to the Grace/Big Daddy, Odie, 3 Legged Dog, and Thunderchief pages. Added a Thunderchief perfboard layout. Added the Thunderchief page and sound clip. Added a PCB layout created by Will Percival to the May Queen page. Added possible modifcations and a revised schematic for Ruby. Added a note to the modified EA Tremolo article. Gave a makeover to the home page. Fixed two errors on the Ruby perfboard layout. Added a page for Ruby, an improved version of the Little Gem battery-powered amp. Re-published the Peppermill article and sound clips.